A 45-year-old man is a smoker (half pack a day). He returns for perio maintenance every 3 months. 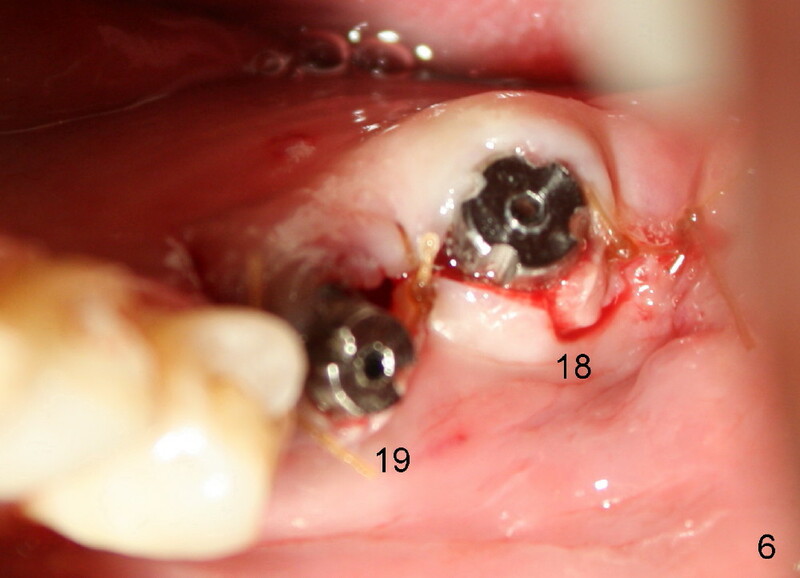 The teeth #18 and 19 have been extracted for long with supraeruption of #14 and 15 (Fig.1 arrows). 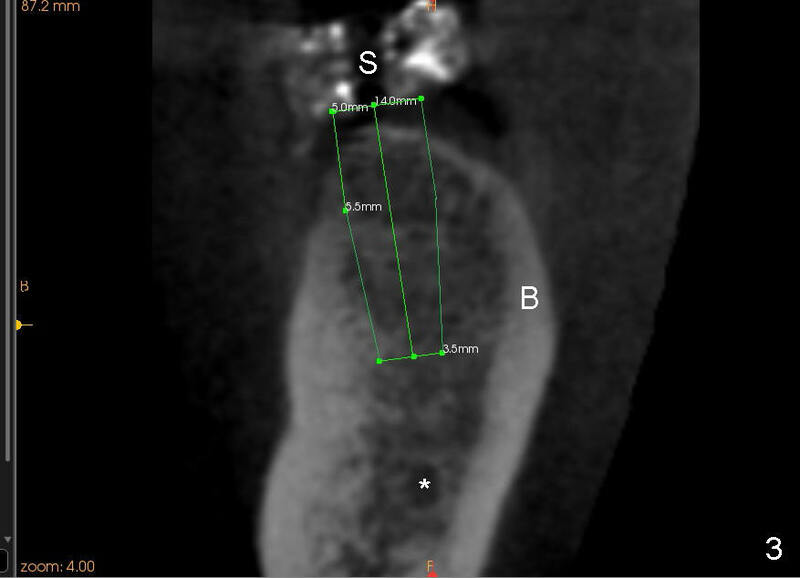 CT confirms sufficient bone height (Fig.2) and width (Fig.3). Bone density is type II, as shown by CT and drilling. 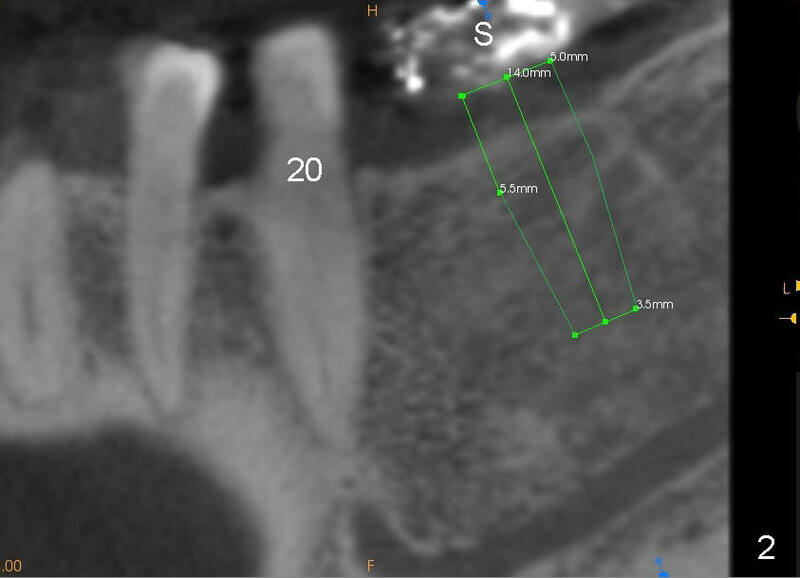 Relatively short implants are placed as deep as possible considering supraeruption of the opposing teeth (Fig.4 (4.5x14 and 5x14 mm taps at sites of #19 and 18, respectively) and Fig.5 (5x14 mm and 6x14 mm gingiva-level implants (I)). 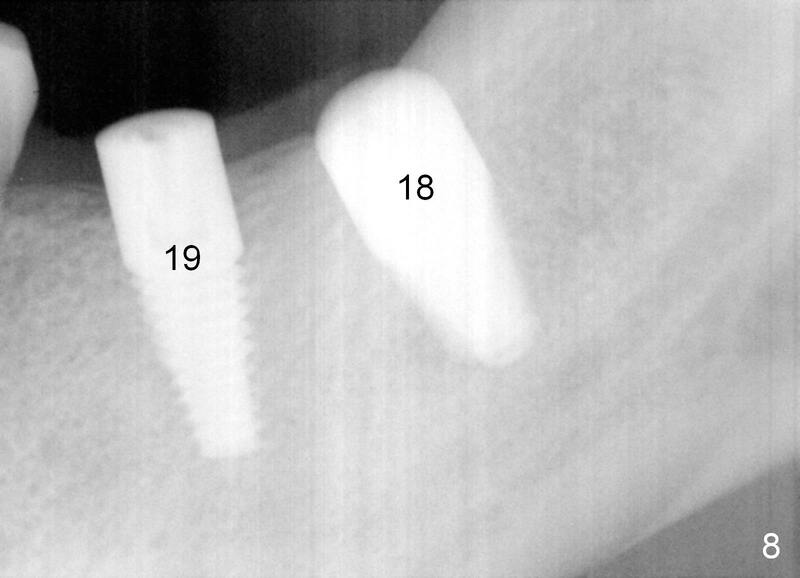 In order to avoid damaging the submandibular fossa, the implant at the site of #18 is tilted lingually (Fig.6). 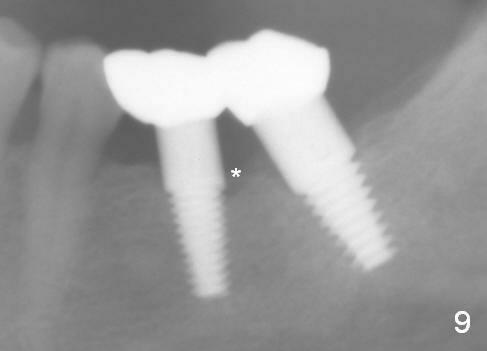 When short abutments (3 mm in height) are placed, there is enough clearance to place perio dressing. The abutment at the site of #18 becomes prematurely loose. It has to be removed 4 days postop. There is no sign of infection. Perio dressing is removed by the patient 7 days postop. 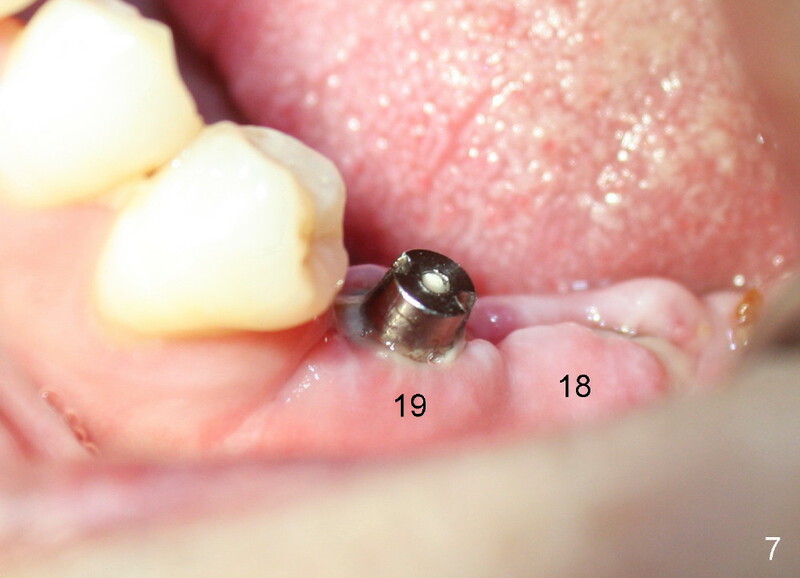 He returns to clinic 8 days postop (Fig.7) for the remaining abutment to be removed. The wound appears to be healing normally. 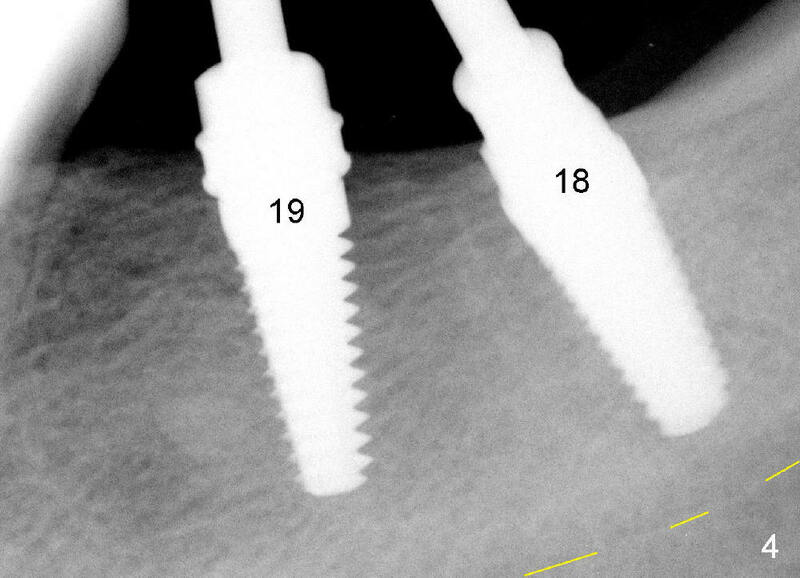 There is no bone loss around the implants 3 months postop (Fig.8). Crowns are delivered 5 months postop and have been in function for 3 months now. 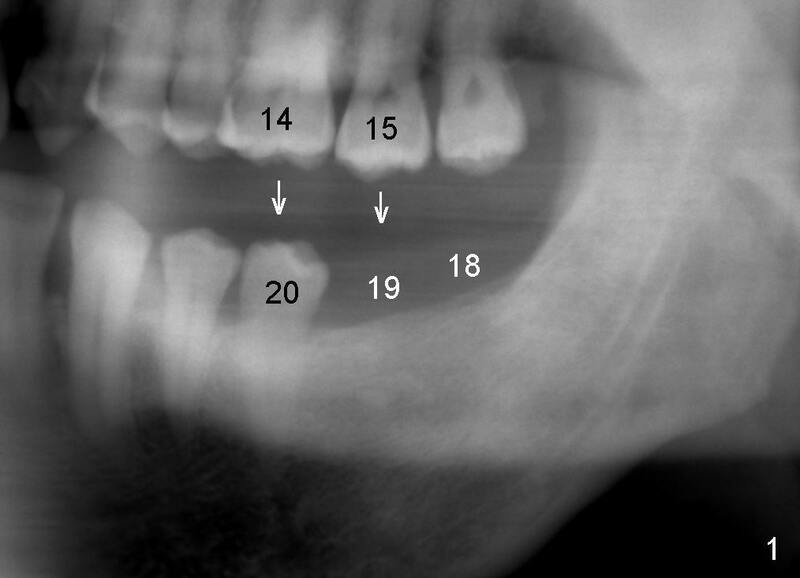 There is no gingival recession around the crowns. 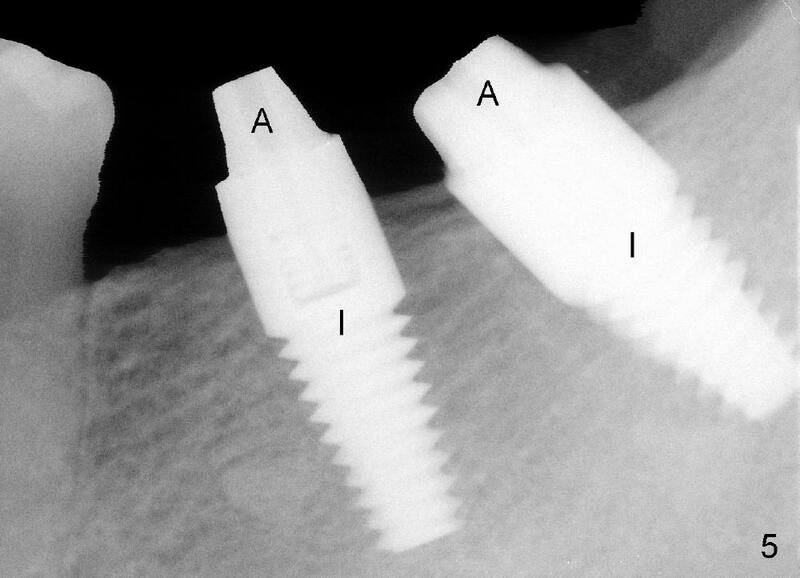 Panoramic X-ray is taken 1.5 years postop (1 year 1 month post cementation, Fig.9); there is mild bone resorption distal to #19 implant (*).